This past weekend the team headed down to South Carolina for our 2nd weekend of SECCC MTB racing hosted by Clemson University. 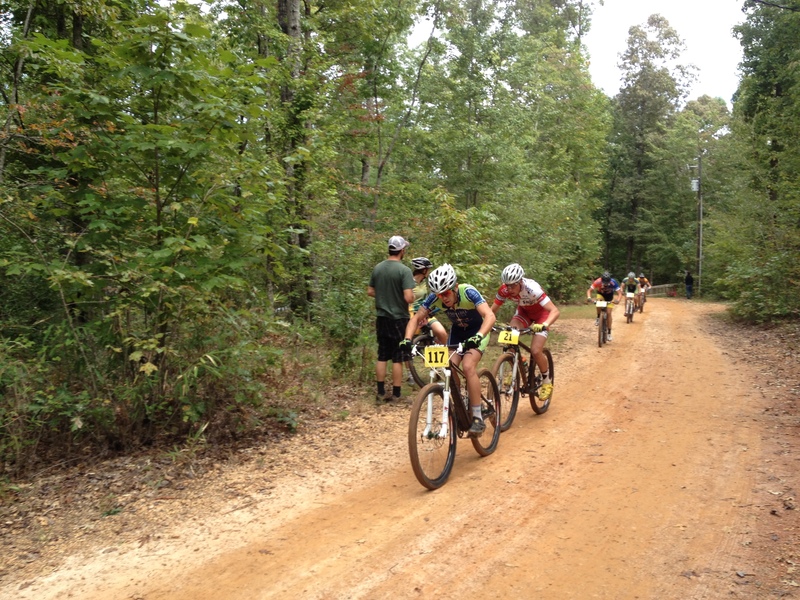 First race of the weekend was Men’s A STXC. The course required a fast start if one wanted to be a contender due to the 400m track length and two 180 degree singletrack switchbacks. It was a pile-up waiting to happen. Fortunately, two of our riders, Mikey Keith and Tim Jenkinson, made it just ahead of the pile-up and missed the action. Hunter Resek bounced of riders but missed the pile-up as well. After the first lap, a large portion of the field was pulled and from there on out it became a race to not give away a second because once a second was lost there was very little opportunity to make it back. In the end, Keith finished as the top MHU rider with Jenkinson not far behind. Resek put in a solid ride to finish strong ahead of most of the pack. Next up were the A women with MHU’s Sarah Felpel and Addy Albershardt representing. Addy made her debut in mountain biking on a borrowed bike and performed well for a roadie! She finished a solid 6th on a track that required quick thinking and quicker reactions. Katie Baker (B women) rode in her second MTB race ever on a cyclocross bike, which may have hindered her performance, but she battled through to the finish and refused to give up. That’s the MHU spirit! A new addition to the team, cross country running star Cesar Reyes, raced in the Men’s C and unfortunately gave up a precious second in the last lap to finish 2nd in his race. It definitely left him hungry for more. 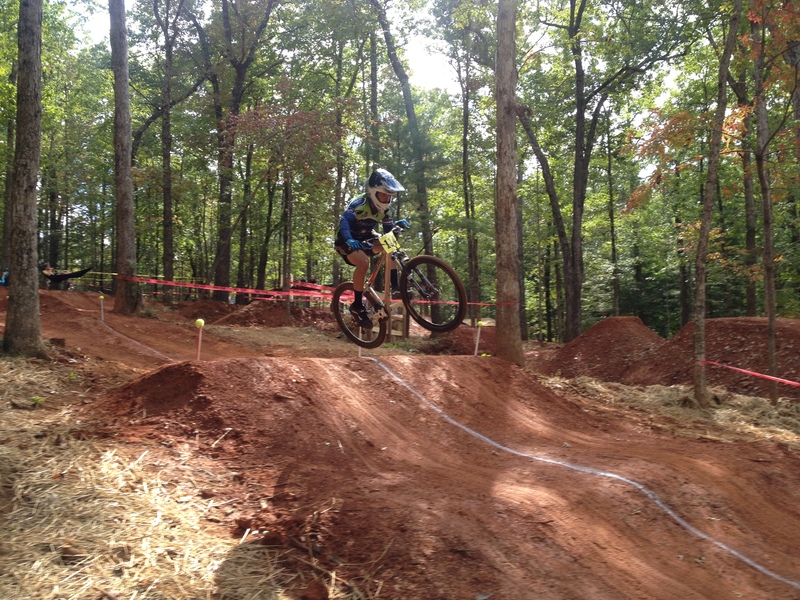 Up next was dual slalom on a brand new course that looked more slopestyle/dirt jump than a race course. Alan “Hotpants” Hudson was our favourite and qualified fourth against a strong field but was unfortunately knocked out in the second round. Keith and Jenkinson both qualified but were knocked out in the first round. I guess that happens when you pit XC racers against the gravity boys. Sunday morning broke to a long XC race on a challenging but ultimately epic course. Men’s A raced 30miles (3x 10mile loop) and the stars of the race were Jenkinson with his first top ten of the season (a solid 8th) and Resek with 11th. A fantastic result from a bona fide self proclaimed roadie! Sarah Felpel repped the girls but the day was just not hers in the end. She was happy with her technical riding though and looks forward to showing what she’s made of in the coming weeks. Cesar Reyes was hungry for a result after Saturday but unfortunately all he found was a crash over the bars and broken helmet. Luckily he walked away without any major injuries, which we are all glad for, and still managed a respectable 4th. The weekend was a mixed bag of results, but we can walk away with some lessons before Nationals, and all of us are looking forward to our home race to be hosted in Kolo Bike Park in West Asheville next weekend. See you there! 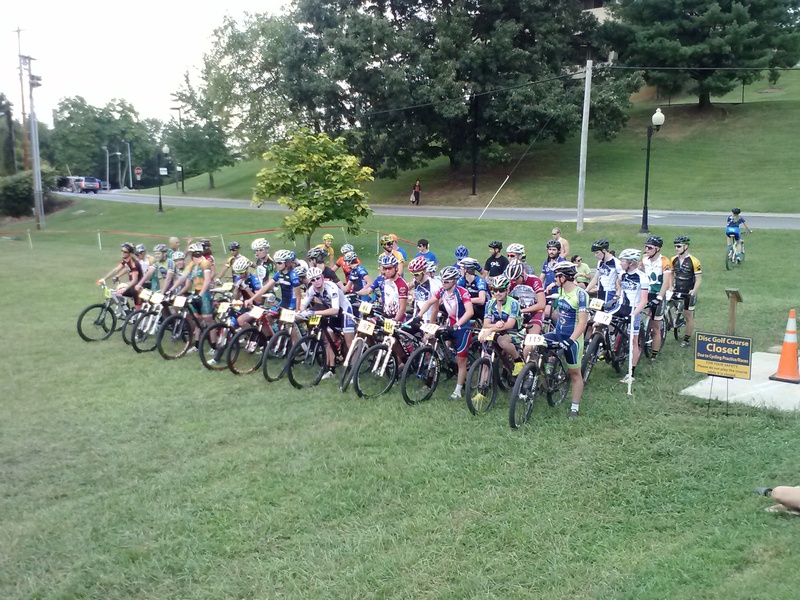 This weekend the Mars Hill University Cycling Team traveled up and over the mountain to East Tennessee State University in Johnson City, TN, to compete in the team’s first mountain bike race of the season. Competing conference colleges such as Brevard, King, Clemson, Cumberland, Warren Wilson, and Lees-McRae all showed up in full force to kick off a great weekend. Lindsey Wilson from Columbia, Kentucky, came over from the Midwest Conference to ride down some hills and showcase their riders in the downhill and four-cross. With several national champions present from last year’s mountain bike and cyclocross nationals in DI and DII, the fields were stacked and the competition was intense. 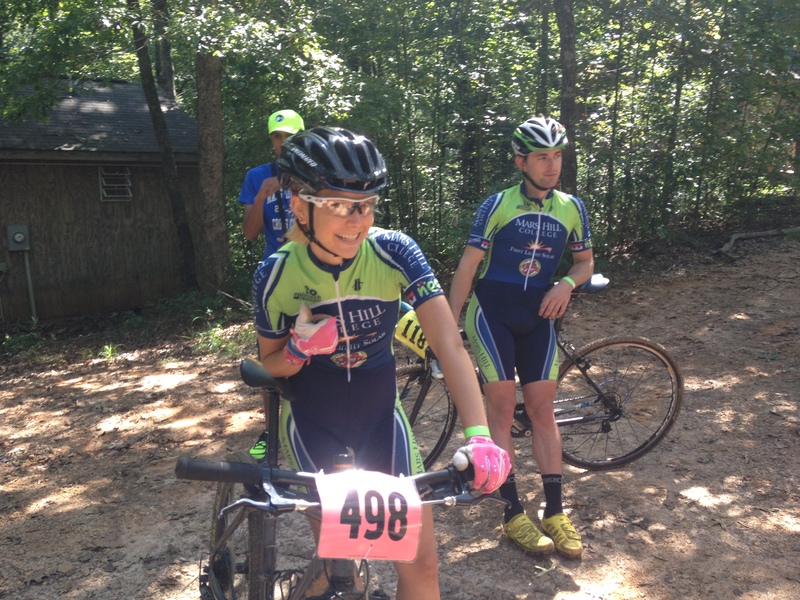 Katie Baker, a sophomore and a new edition to the Mars Hill cycling team, accomplished a goal worth honoring: competing in AND finishing her very first cycling race. 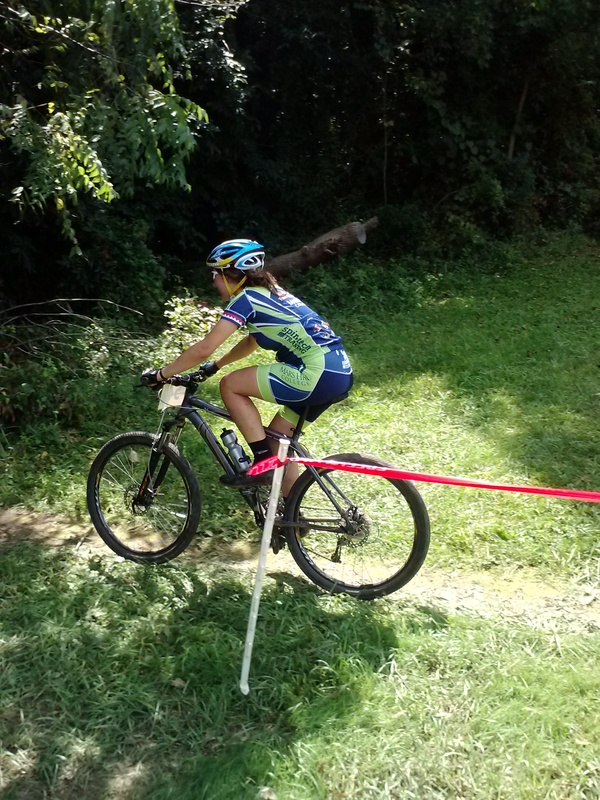 Katie quickly picked up road cycling within the first week of school and was quick to try her hardest at mountain bike racing this weekend. She borrowed equipment from teammates and signed up for the short track. Katie described her race in one simple sentence: “The hardest thing I’ve ever physically had to do and also the most inspiring for future goals; it was eye opening and strangely…fun!” Mars Hill is very excited to have Katie on the team this year! The second day of racing had just one event, the cross country. 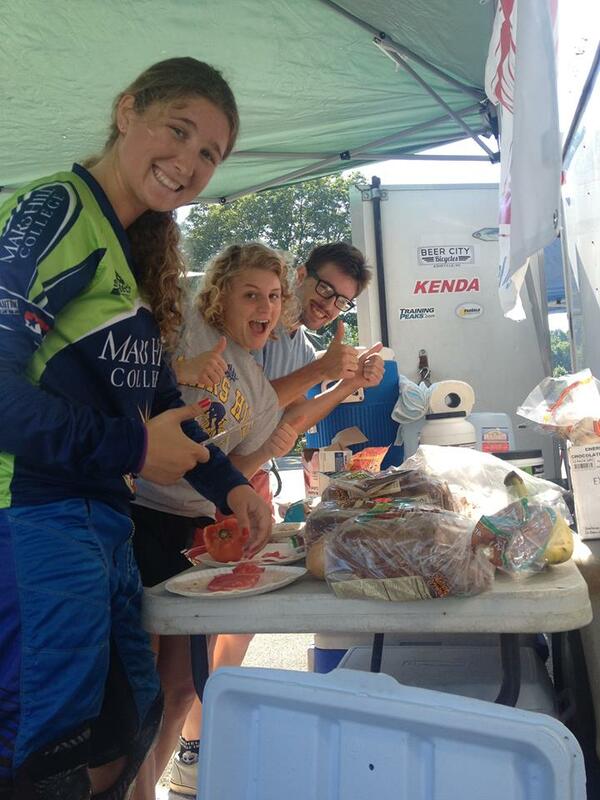 There was a crash and couple of mechanicals on the men’s team, while Sarah Felpel represented the women’s team well. 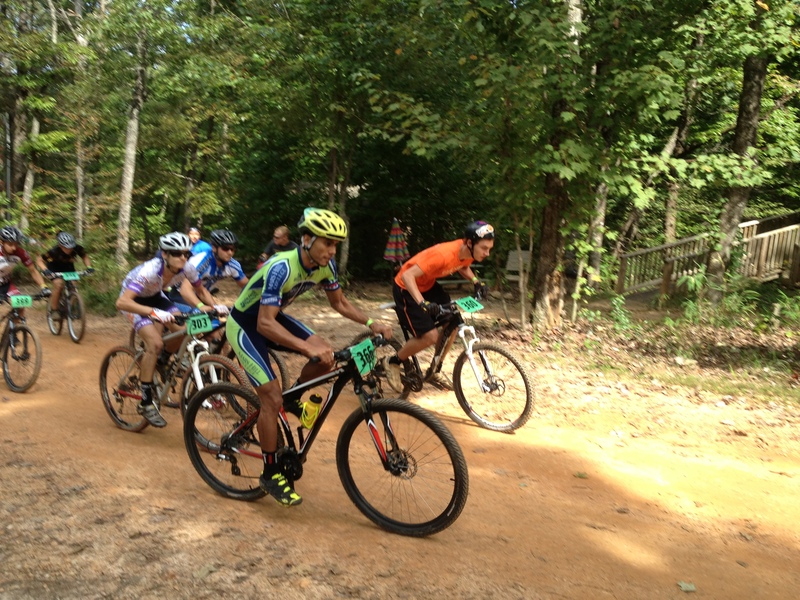 New rider, Cesar Reyes, a cross country runner for Mars Hill, also did well over the weekend, placing 4th in both the short track and cross country in men’s C racing. Overall the team raced their best! 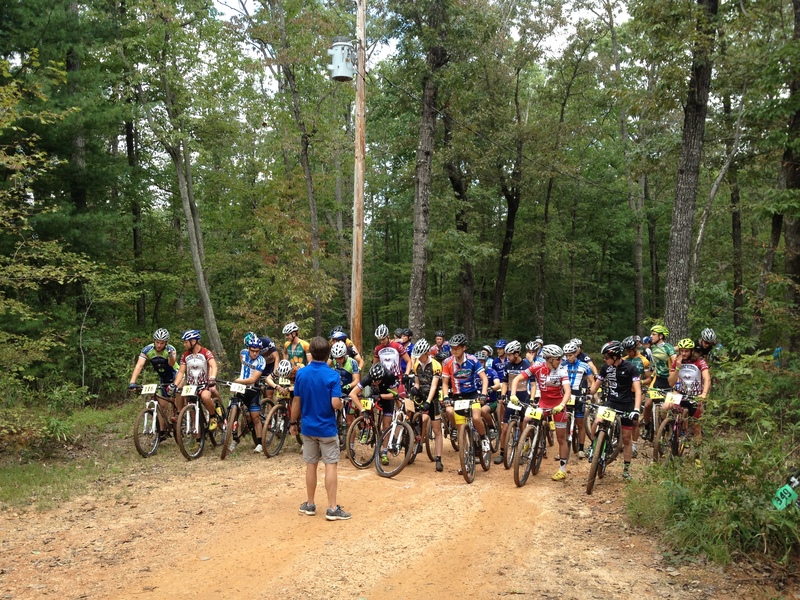 Riders are gearing up for collegiate Mountain Bike National Championships, and they are all adjusting and fine tuning for the next six weeks of preparation. This Friday, the team will be traveling to the Giordana Velodrome in Rock Hill, SC, for a track clinic. New editions to the team, John Butler and Mauro Rato, will compete in races on Friday night to complete their preparation for the Track National Championships the following week in Colorado Springs, CO.
Stay tuned in for further successes of the Mars Hill University Cycling Team!